These days, everyone is focused on the sequestration over the budget (or lack of). Just a few months ago, it was the fiscal cliff that we managed to narrowly avoid. 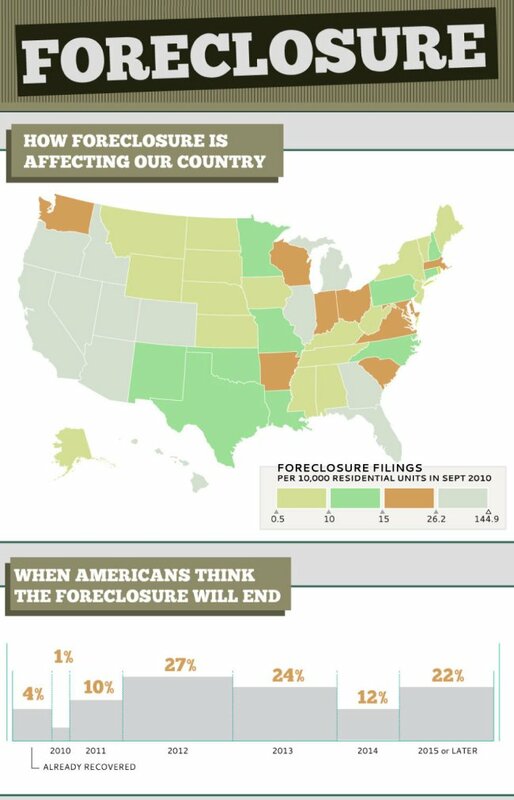 But one thing that hasn’t gotten much air time lately is the foreclosure crisis. Yep – that’s still a thing. Headlines only focus on the initial impact of a crisis – the shock value – but if it turns into a long-term situation, people start to care less and less. If a Crisis Happens but No One Reports on It, Does It Still Have an Impact? 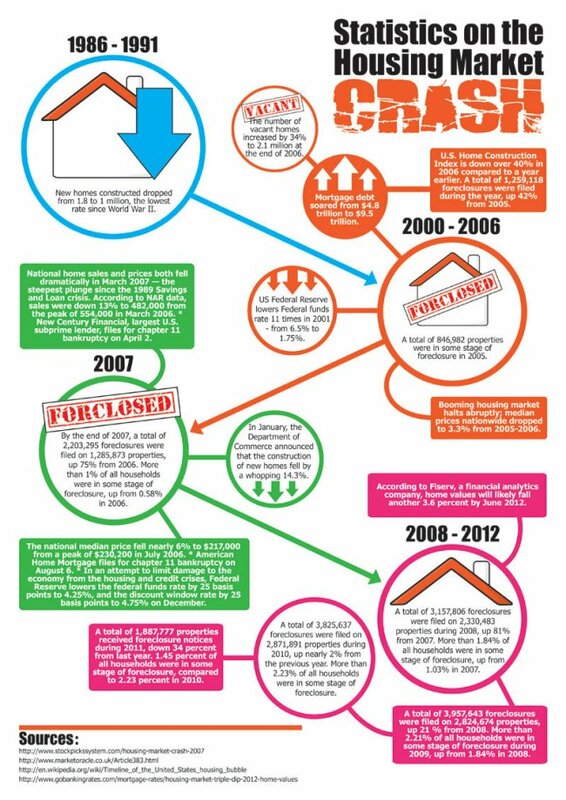 So it has been with both the recession and the accompanying foreclosure crisis. Both are still very much present and still active crises, but talking heads have long since stopped discussing it. But for those neck-deep in it, the crisis is an everyday disaster made worse by the fact that few seem to care. An occasional news item will report that foreclosure filings are down and that this is a sign of economic recovery. Instead, it’s a symptom of the ongoing housing market slump. With so many loans continuing to go bad, lenders are overwhelmed with homes with past due mortgages and are struggling to get around to filing for foreclosure. 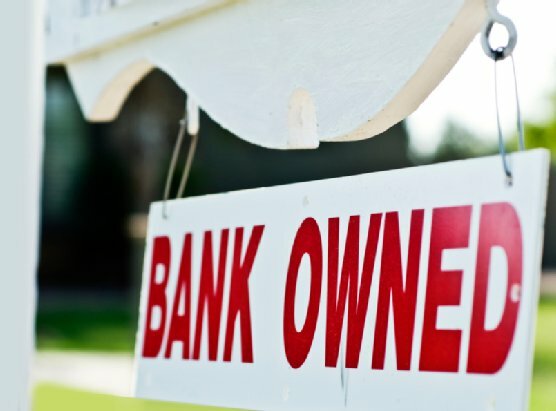 And in some cases where the market value of the home has dropped and the likelihood of selling a foreclosed home are low, many lenders are taking a “so what” approach. This is far from a good thing. In many cases, lenders start a foreclosure but never follow up. There are roughly two million homes across the country languishing in this purgatory. Homeowners who have fallen behind in their mortgage payments – often due to job loss, illness or some other personal financial crisis – get a letter from their lender saying they’re tired of waiting on payments and they’re foreclosing on the property. The borrowers accept the bad news, pack up and go – usually to rental property because the foreclosure and mortgage arrears have trashed their credit – so buying again is out of the question. 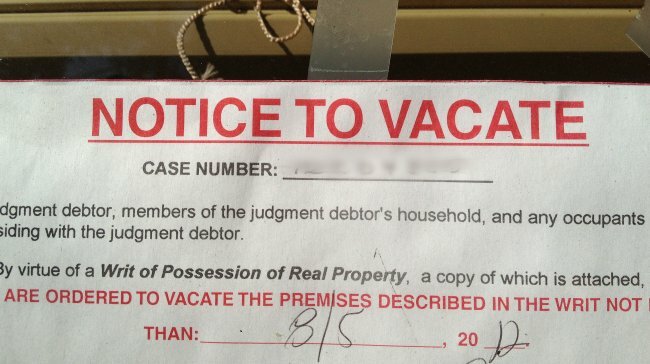 Some people even file bankruptcy to try to get a clean slate once the imminent foreclosure is announced. But what happens next is that nothing happens. And that’s when the real problems start. Most debtors take the bank at their word and leave their home when they get the foreclosure letter. The next step should be an auction where the property is sold off – usually purchased by the lender itself. After this, the title to the house should transfer from the borrower to the lender. But in an increasing number of cases, the lenders don’t follow up after the foreclosure notification. The property isn’t sold and the home becomes what’s known as a bank walk away. This means that the bank simply gives up on the house. They know they won’t be able to sell it for enough to cover the costs of dealing with the foreclosed home and just wash their hands of it. This leaves the title to the home in the borrower's hands. The homes – now abandoned – fall into disrepair, become targets of vandals and turn into weed-ridden neighborhood eyesores otherwise known as zombie homes. The mortgage industry has been doling out bad news for the past decade. 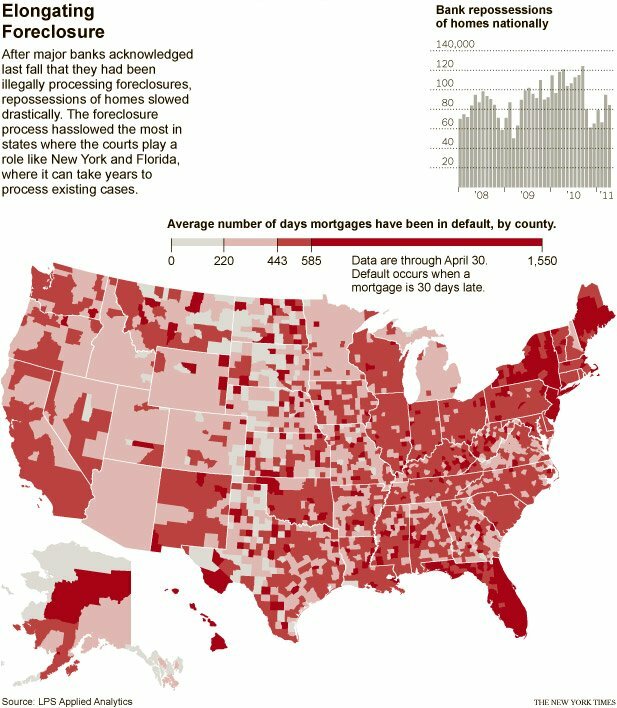 Subprime mortgage lenders have been accused of shenanigans and Standard & Poor’s has been accused of fiddling with mortgage-backed securities that have contributed to the numbers of foreclosures. But for them to then walk away and leave is worse yet because they’re dragging down neighborhoods as well as the economy by cutting bait and running. Because an auction never happened, the title for the property is still in the borrower’s name, often unknowingly. When property taxes come due, they are assessed to the departed borrower. Unpaid homeowner’s association fees continue to be recorded in the name of the borrower. 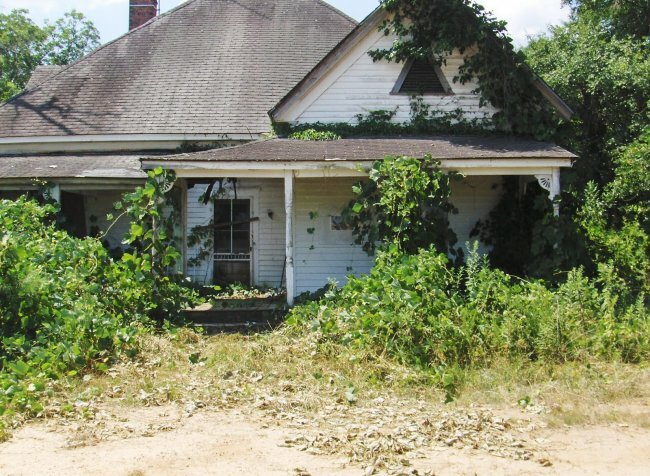 If the home is unkempt and the county becomes involved – fees may be assessed for the property becoming dilapidated. HOA’s also may levy fines for the unmowed lawn and house falling into disrepair. All of these accrue to the homeowner of record – the borrower who has moved on. They may have moved on, but the zombie property can haunt them for years to come. All of these debts pile up and may result in liens and collection fees and attempts that pile on and further damage the credit of the dispossessed former homeowner. And if you filed bankruptcy when the foreclosure was announced – all of these fines and fees that arise post-bankruptcy will be yours to contend with. If you get a foreclosure notice, understand that it’s a notice of intent to foreclose and not a “get out of the house” directive. There’s no reason to scramble for cardboard boxes and packing tape just yet. Instead, you need to begin planning. You need to save up money for a deposit on rental property – whether house or apartment - because at some point you will have to move. If the house needs some repairs that you can do yourself or are cheaply done, take care of those. As crazy as it sounds, you need to make your property as appealing as possible to your lender so they’ll want to follow up with the foreclosure. Divest yourself of all your unneeded stuff in preparation for the move. 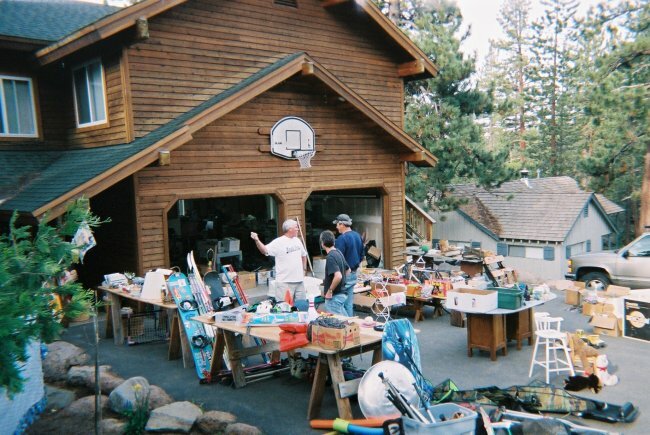 Hold a garage sale and get rid of everything you don’t need. Then you wait. Keep socking money away – but preferably somewhere it can’t be garnished by your lender. If the mortgage is in your name, tuck funds into a savings account held by just your spouse. Then wait some more. Pay your HOA membership when it comes due – HOAs can be worse than the IRS when it comes to collections. Once you get a letter that the auction has been scheduled, you still don’t have to go, but it’s time to start packing up non-essentials in advance of your move. If the date comes and goes and the sale didn’t take place – you can find out by checking with the local courthouse – contact your lender and ask when it will be scheduled. Actively pressure them to schedule the auction. Once the auction goes through, you’ll get a notice at some point of an “order to vacate.” This is when you need to move. Usually you’ll get 30-60 days notice that you need to exit the premises. Now is the time to pack and go, but with a rental property nest egg and all your excess stuff gone, this will be a lot easier. Depending on how busy your bank is, after they purchase the property at auction (which is the usual way it goes), it could be months or even a year or two before they get around to filing an order to vacate. If you leave before they’re ready to take over the property, you may still be on the hook for HOA and abandoned property issues. You also need to follow up with your county property office and make sure the title has been transferred to the mortgage company. If the mortgage company hasn’t changed the title, you need to apply pressure to them to do so. Also, let the HOA know the house has been sold and give them the contact information for the mortgage company so they can send any bills or assessments to them. After you move, have your mail forwarded to your new address so you’ll know if there are any county assessments levied over the home’s condition. If you get a bill, contact the county or HOA and refer them to the mortgage company. Do this religiously to keep the debt off of your name and credit report. 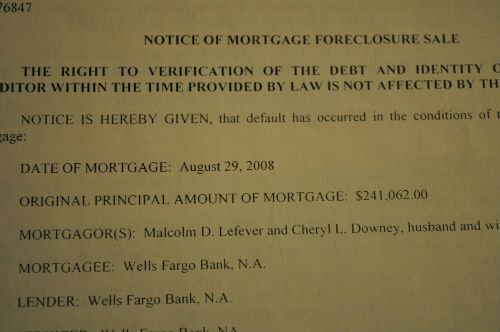 Follow up with the mortgage company on a weekly basis until they transfer the title – squeaky wheel and all… Once the title is transferred, if you still have other debts that are plaguing you or residual debt associated with the mortgage such as an unforgiven second mortgage, consider filing for bankruptcy. Reputable NC bankruptcy lawyers can help you file and understand how bankruptcy laws work after a foreclosure. It’s all about the timing. Any debts incurred after you file will be yours to deal with after the bankruptcy, so tying up all of these loose ends is critical. NC bankruptcy lawyers can offer you a fresh start and by taking these steps after a foreclosure, you can make sure it’s a clean break from all of the obligations surrounding your foreclosed home. Contact a reputable North Carolina bankruptcy attorney for help and advice. Whether you are in Durham, Greensboro, Raleigh or Chapel Hill, attorneys specializing in bankruptcy can help you get a fresh start after your foreclosure.